If you like overtime thrillers, quarterback killers and end zone fillers, then wait until you get a load of the NFL Week 4 Recap. WASHINGTON — If you like overtime thrillers, quarterback killers and end zone fillers, then wait until you get a load of the NFL Week 4 Recap. 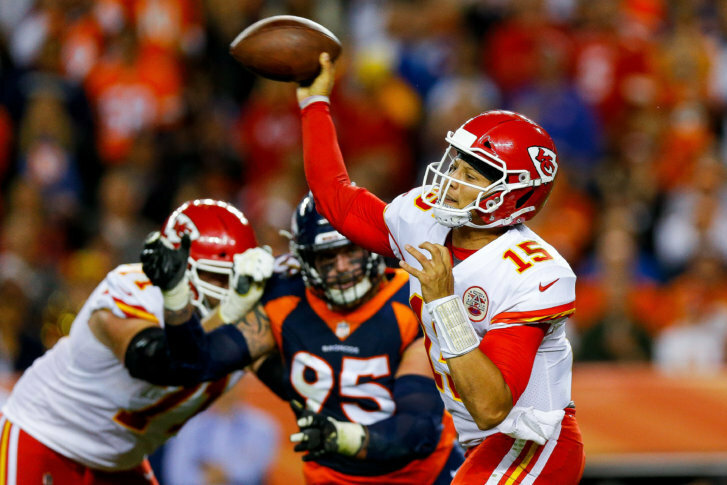 For the second straight season, Patrick Mahomes led a comeback win in Denver, completing 13-of-16 passes (none better than this) for 153 yards and a touchdown in the 4th quarter to erase a 10-point deficit and make his coach’s flattery look legit. This is the first of many “Mahoments” to come for Kansas City fans.